What darkness the teaching about vows has spread over the Gospel! Here they have pretended that vows are righteousness before God and merit the forgiveness of sins. Thus, they have transferred the benefit of Christ to human traditions, and have completely extinguished the teaching concerning faith. They have feigned that the most insignificant traditions are services of God and perfection, and have preferred these to the works of callings which God requires and has ordained. Neither are these errors to be lightly regarded, for they detract from the glory of Christ and bring destruction to souls. So they cannot be ignored. 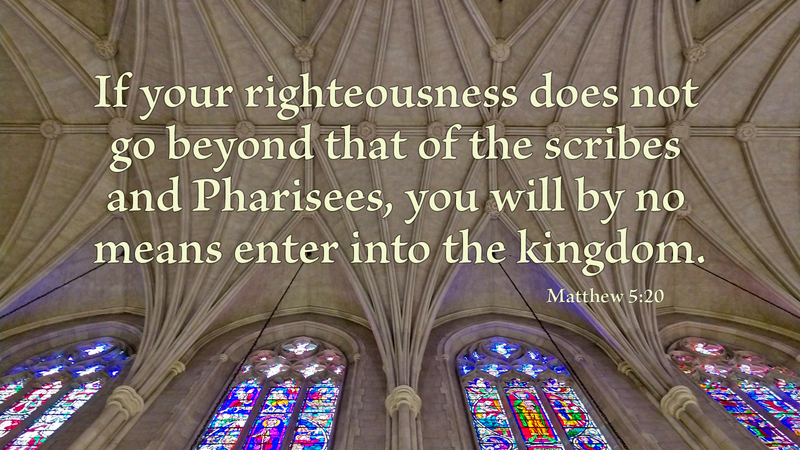 If our righteousness must excel that of the religious professionals and experts, then where is our hope? Well, if righteousness truly comes through good works, correct dogma, proper services, or acknowledged tradition, then there is no hope. We cannot surpass such so-called righteousness. However, true righteousness is being properly related to Christ Jesus. We are made righteous with God and by God only because of being rightly related to Jesus through faith. We cannot earn this justified or corrected relationship; we are adopted into it through faith in God’s grace toward us. Prayer: Give me certain hope of eternal life, Lord, through your righteousness ascribed to me. Amen. Learning About Confession teaches the meaning of Confession and Forgiveness according Luther's guidance in the Small Catechism. It is recommended for the Sixth Grade Level.